Friday April 12, 2019-President Uhuru Kenyatta has zeroed in on High-Tech Company in Mauritius to Achieve Big 4 Agenda. On Thursday, the President visited Natec Medical Device Manufacturing facility based in Port Louis, Mauritius, and was impressed by the technology. 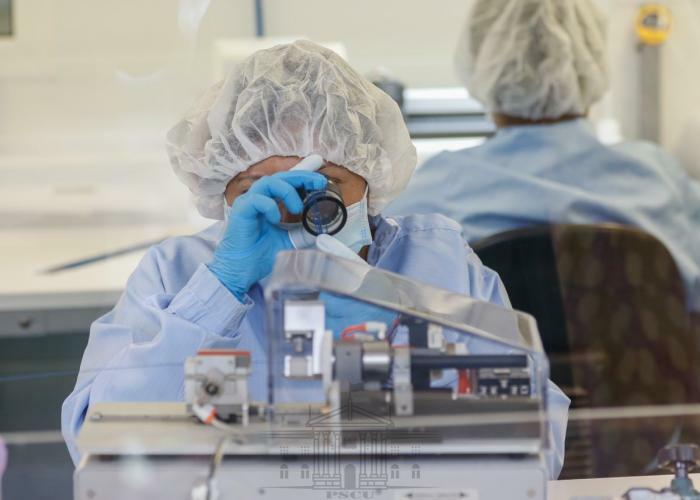 The manufacturing facility uses the latest technology to manufacture, package and export cutting edge devices to over 35 countries across the world. "I believe there are great opportunities that exist to deepen our cooperation in a number of fields and I believe as we move forward we will continue to strongly work together to ensure that we achieve and reach those objectives,” President Kenyatta stated. He extended a request to the company to set up a similar facility in Kenya to help him achieve his Big 4 Agenda. investors, don't be deceived by the thief and his team of robbers to bring your hard earned money to Kenya. They will loot everything as is the case of that guy in court under the pretext he involved with fake money. A scheme of replacing his genuine money with fake currency they have been printing. Let his peach his mirage dreams and when he leave: stay put and invest in your country. The republic of Kenya has no benefits of having him as the president of Kenya, to the extent he cooked his own win in 2017.